EXPERIENCE 94 TI (KONECT) is rated 4.0 out of 5 by 2. Kryss alle grenser - helt uten grenser. Nye EXPERIENCE 94 Ti er en allsidig carvingski utviklet for erfarne kjørere. Vår konkurranseutviklede LCT kombinert med ny Air Tip VAS-teknologi gir ultimat stabilitet og kontroll, mens den freeride-inspirerte profilen sørger for god flyt og skjærer gjennom uansett hvor du velger å kjøre. Rated 3 out of 5 by tobyS106314 from Too broad underfoot to be an all mountain ski Used it on hard and softening piste and on chopped up powder. Heavier to turn than my Nordica Navigator 85s and not as responsive. Not such a fun ski. Rated 5 out of 5 by Scott47 from So Much Fun Bought this Ski early in the season. O have been skiing the EXP 100 HD. Hard to beat that ski. It only took one day of skiing and I knew I had found a fantastic ski. It is lighter than the 100 HD. It is stable, predictable, and all around a winner for Rossignol. Loved it in all conditions except deep powder, but, it can’t be everything. 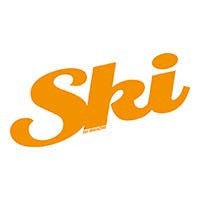 It is my main go to ski. Thanks Rossignol and Deer Valley. 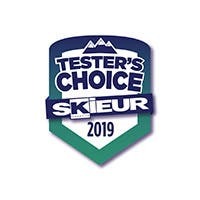 Fantastic to be able to demo all of your skis free. Do these come with bindings? With the longer tip, should I ski these longer than past experience models?